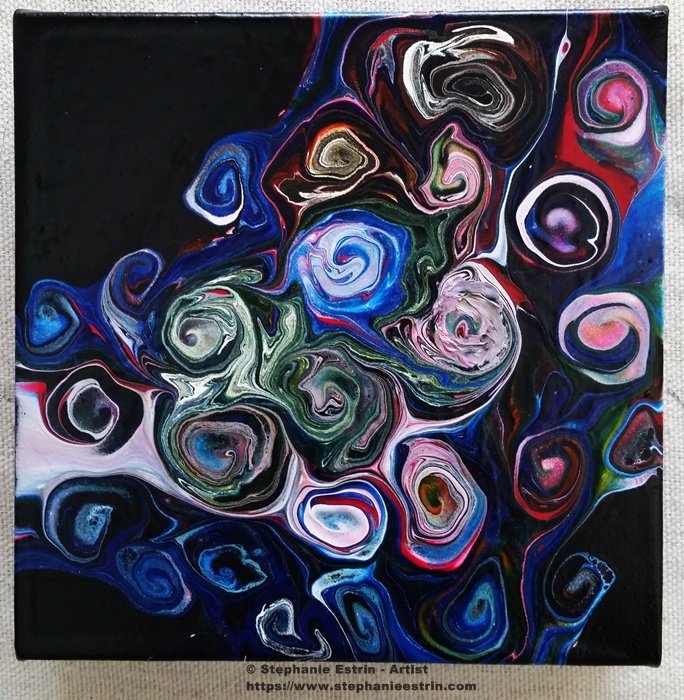 This fluid art painting is 6" X 6" on gallery wrapped canvas with the painting continued over the sides. It will come with a sawtooth hanger for you to hang in whichever direction pleases you best, or it can sit on a table or shelf. It will be coated with a gloss varnish to protect from dust.